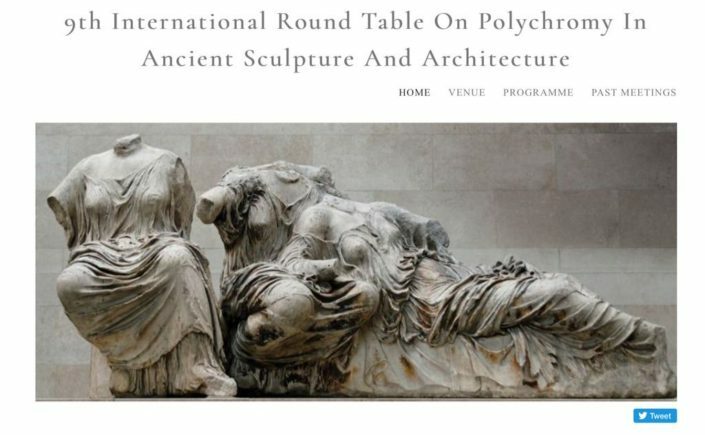 (Source: Polychromy Round Table) - The 9th International Round Table on Polychromy in Ancient Sculpture and Architecture will be held at the British Museum in London from 9th-10th November, 2018. The meeting, hosted by the Department of Greece and Rome and the Department of Scientific Research, will take place in the British Museum’s Stevenson Lecture Theatre. It will be open primarily to members of the International Polychromy Network and to colleagues from co-operating institutions but, it will also welcome curators, scientists, conservators and students to whom the subject is of interest. This year will also mark the 10th anniversary of the foundation of the International Polychromy Network and in the tradition of previous round tables, it will provide an excellent opportunity for experts from a wide range of fields (archaeologists, art historians, scientists, conservators, other museum professionals) to discuss new research in a stimulating interdisciplinary setting. Contributions from suitably diverse perspectives are encouraged and may cover any aspect of polychromy in ancient sculpture and architecture, including; investigative techniques, ancient pigments, ancient painting techniques and craftsmanship, conservation aspects, as well as reconstruction and display. The main focus will be on the Classical world. In order to help us finalise the programme, we would ask you to let us know by 31st July 2018 whether you intend to give a paper. For details on the format and author information requirements, please see 'Call for Papers' below. Please note that the organizers will not be able to cover speakers' costs of travel to the meeting. Registration will be required and details will be available in due course. The format for contributions will be PowerPoint presentations of 20 or 30 minutes (please state which)with discussion to follow at the end of each session. Abstracts (max 400 words) indicating the title of your contribution, a brief summary, authors (and co-authors, if any) and affiliation(s) should be sent to: 9thpolychromyroundtable@gmail.com by 31st July 2018. A final decision will be made by the organisers and communicated to the speakers selected by 15th September 2018.